2007 Great Neighborhood Restaurant award presentations. 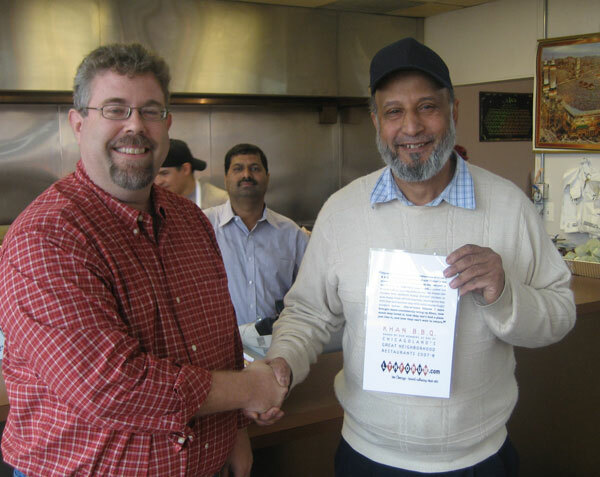 Mike G presents the award to Mr. Khan of Khan B.B.Q. Last edited by G Wiv on December 2nd, 2007, 8:48 am, edited 1 time in total. Cathy2 presents LTHForum GNR to Maria owner of IL Mulino Bakery/Maria's Bakery .